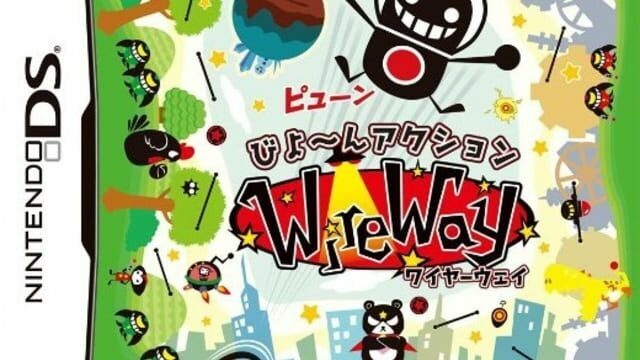 WireWay is an action puzzle/platformer in which the player has to pull wires and "throw" the main character (Wiley) through the 48 levels of the game. 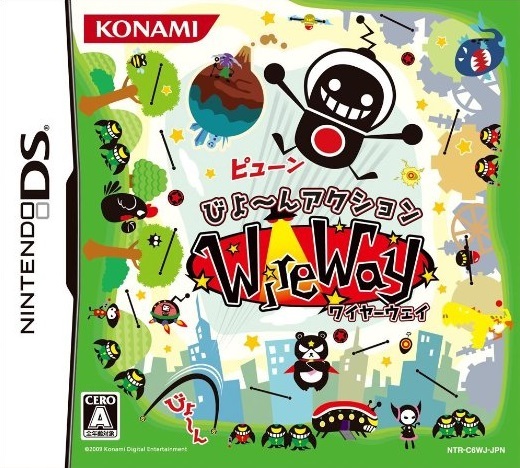 Developed and published by Konami. Introducing Wiley Springer the lovable and mischievous alien, whose trouble making has landed him in a big dilemma! With his newly acquired Elan wire mining skills, he tries to obtain the Super Elan, by battling alien gangs, avoiding obstacles and ultimately trying to defeat the alien boss, to rescue his true love!